POLICE are appealing for information to help identify three men who targeted a 92-year-old man in a burglary at his home in East Ardsley. The men, who were using a white transit van let themselves into the victim’s home in Royston Hill through an unlocked door and began looking through the kitchen cupboards while saying “water tap”. The victim went to see what the men were doing and was then joined by two friends who challenged the men. They said they were from the “water board” and were told to get out and left in the van. They were all described as being aged 30 to 40 and about 5ft 9ins tall. They were wearing dark clothing with scarves up to their noses and hats pulled down to their eyes. One of the men had an Irish accent. The incident happened at about 2pm on Tuesday, January 10. 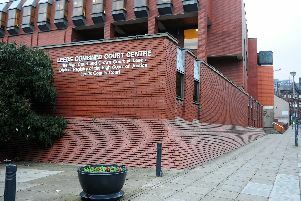 PC Tom Enevoldsen, of Leeds District Crime Team, said: “These men have clearly targeted the victim as someone elderly and vulnerable to steal from but have left empty-handed after being challenged. Anyone with information is asked to contact PC 1537 Enevoldsen at Elland Road via 101 quoting crime number 13170014544 or call the independent charity Crimestoppers anonymously on 0800 555 111.